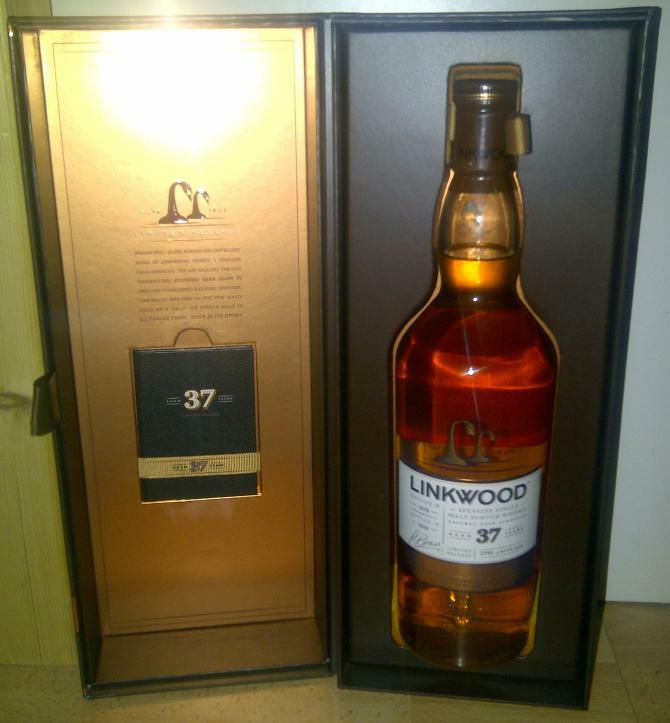 a very tasty, complex and mature whisky. In no case worth the price, but as a sample completely fine. Pur: closed at the beginning, smells a bit "banal" to pear and orange. With some time in the glass he opens up, mango, pineapple and green banana, plus tobacco and light rosy sherry notes. Complex and delicious. With a little water: slightly medicated, salty, olive oil. Krass! Pure: full-bodied, sweet tart approach, very ripe and pleasant wood / sherry notes, vanilla ice-cream with hot raspberries, also here tobacco, heavy, well-pulled green tea. With a bit of water: here, too, a little salty maritime (where does that come from? ), Otherwise the same notes as pure, everything a bit more intense. Water is good. long, a lot of oak, tannins, chocolate. 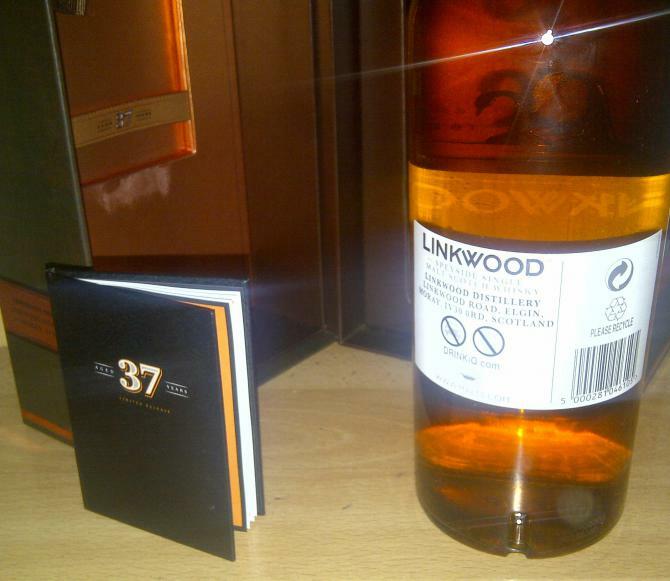 C: Today this Linkwood was overshadowed by most of the above, but it remains a very good and thoroughly enjoyable whisky. Saulecker, unfortunately far from any budget, but nice to have tasted the times. Aroma: Soft, needs some time to open; then slow development of delicate fresh fruit notes, sweet pure fruit salad of honeydew melon, grapes, mandarin zest, apple and pear over a base of crumbly butter toffee. Gradually more intense and stronger like fruit salad in syrup; maybe creamier with marzipan, vanilla and a touch of licorice. Then gracefully beguiling and intoxicating, with notes of white rose over soft creme brulee. Water closes its aroma without changing it. 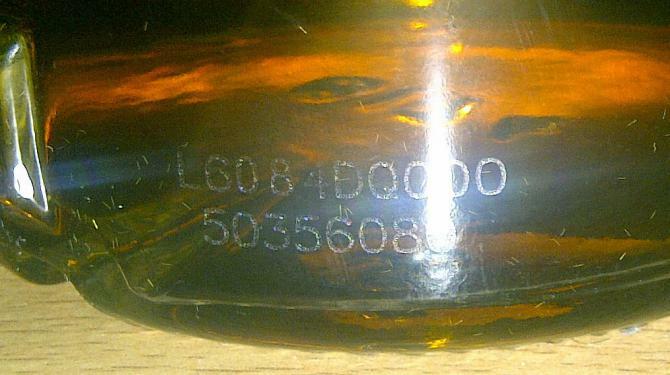 More butterscotch; then smelling like an old-fashioned fruit shop in the summer. Taste: Medium body. Tempting on the palate, initially generous soft texture; fruity sweet and sugary, then warming and tart with baked apple in the middle of the palate. Quick development of an appetizing dryness with black tea and herbal cough drops, balanced by rum & raisin ice cream, lime and waxy vanilla. Finally notes of ginger, cloves and a pinch of salt. With water, the apple is slightly caramelized and accompanied by sugar-sweet vanilla biscuit. Finish: Long-lasting and warming, with a peppery note. Oak and herbaceous with dry, enveloping tannins and a clean, aromatic finish; in the aftertaste spices in combination with milk chocolate and honed hardwood. With water drier, but still warming; lighter, with hints of cedarwood, waxy and late softer and longer tannins. Remarks: Pure and light LINKWOOD, with style and elegance. The epitome of the "finesse" of Speyside. He is characterized by his typical fresh fruity and floral character and wants to be slowly accessible; the nose gives little indication of the splendid elegance and complexity that unfolds on the palate and on the finish of this refined malt.